What is a property sourcer? Finds an investment property for an investor matched to the investor’s requirements. In essence you are like a marriage bureau. You are finding properties that you hope will have a long and lasting relationship with the owner! There are many other specialisations other than the above. It is key you get this bit right. You have to make sure your specialisation is specific enough to attract a decent number of clients but not too specific as not to appeal to anyone other than you! The right clients depend on you. What type of clients do you feel you best work with? Now before you say anyone or everyone who is willing to pay me think again! Your skill set. If you choose to work with clients who need a lot of hand holding and education then you will need a fair degree of knowledge and be able to deliver this information in a way which they will understand. Your skill set must match what is expected from your target client base. Your personality. There are some clients who need someone to chat to. They need to feel like you care. There are other clients who have no need for small talk and will get annoyed if you engage in such talk! Be aware of personality types and home in on the ones you know you click with. Your presentation. Certain clients want a certain degree of professionalism. This varies widely. Some clients are ok with a phone call, a nod to say the the property is fine and everything is done on trust and by word. Others want everything in writing, tip top manners at all times and a professional presentation every time. These are the extremes but there are all the in betweeners also. How you present yourself will hopefully attract the right clients for you. So if you are a bit jack-the-lad do not set up a classy flashy website attracting etonian types as you will be unable to keep up the image. Your peer group. You offer a personal service. Personal services work best when empathy levels are highest. If you come from similar backgrounds then a positive working relationship will probably follow. These are not hard and fast rules but are worth considering. The most important thing is you deliver to the client what they want which you need to understand. But don’t forget it is the exception that proves the rule! They are ready to buy. If they have no investment properties but have been looking to get in to buy to let since 1996 then you best stay away from this client. They will take up all your time and not buy. Paralysis by analysis they say. Your client base must be made up of property buyers. They can get a mortgage. They must have buying power. This can be in the form of cash (very rare) or be able to get a buy to let mortgage. You should see evidence that they can buy like a recent credit score an existence of a buy to let portfolio. Right mindset. 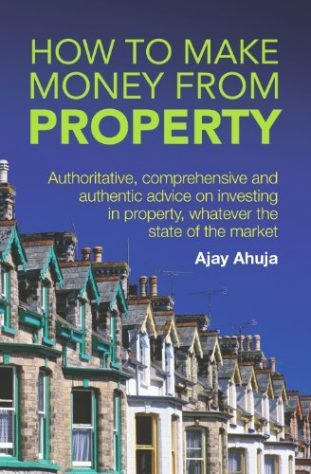 If a client is stating that they are using you to find the perfect investment property so they do not lose any money then their expectations are misguided. A property sourcer never takes on a client’s risk. The client takes 100% responsibility for the risk. Your job is to present property deals to them for the client to make the decision. The right mindset is knowing that a property sourcer can provide you deals not ensure you do not lose money. Based on all of the above you can find these clients by incorporating what you have learnt above and using the right wording on your marketing materials. If you want to deal with self-employed clients only you can state that. If you want to deal with only wealthy clients you can state that also. Whoever you wish to gun after make sure it is obvious by the way you market. This will work wonders for generating leads. Internet. This is where I get most of my leads. I created a website, drive traffic to it by Google Adwords, capture their email addresses and market to them regularly. I can build all this for you or you can read my Book How TO Make A Fortune On The Internet. Referrals. You set up Joint Venture or Introducer agreements with businesses or people who might know of potential clients. Mortgage brokers, solicitors, accountants, other property investors, estate agents etc. Whoever comes in to contact with people who want to buy investment properties can refer to you clients. Your competitors. This is quite unique to this kind of business. You will find that some potential clients will want to work with certain type of property sourcers. If you can get a competitor to refer your business for a fee then it an work both ways. This way everyone wins. I often do this with other property sourcers. I have tried to do offline advertising such as magazines, exhibitions and newspapers but it just hasn’t worked for me. Online advertising is just so effective that the internet brings in enough leads for my organisation to deal with. When I have ideas to expand even further will I look at perfecting offline advertising. Rightmove has 90% of the Estate Agency market. Therefore roughly 80% of properties for sale can be found on this site (91% x 90%). There are some estate agents who do not advertise on the internet (yes there really are!). These can be gold mines. They are found in very small towns where one agent pretty much deals with all the transfers of property in that town and surrounding villages. These agents are one man bands and they keep the crème to themselves. However you can get a look in if you strike up a rapport with them. Keep these gold mines to yourself. You can find deals from people whose profession is property finding. They hunt their local area to find deals. They advertise locally (sometimes nationally), leaflet drop and buy at auctions. If you come across their marketing give them a call! They might have some deals which he or she does not want and your clients could lap up. These businesses generate leads via the internet. They get leads of varying quality from people who want to sell their property quick for whatever reason. The owner usually makes multiple enquiries to other lead providing companies and it is not uncommon to see the same lead being offered by the two or more lead providers. To do well this way is to buy many and quickly. You want to get the first bite of the cherry so speed is everything. Local auctions. These specialise in properties which are local to the area (surprise, surprise!). If you have specialised as a local property sourcer then these will be perfect. You can alert your client base to these properties and charge a fee. National auctions. These come from all over and you can get a lot of repossessions as the big banks use the big auction houses to sell. Bargains can be had here. Localised properties are put in national auctions. So a little market town property finds itself listed next to a large commercial portfolio in Central London. There are very few buyers hence you can get these properties at bargain prices. People are refusing to pay estate agents fees. You can sell your property by simply placing an ad in a local or national newspaper or on a website and save thousands. Just do a quick search in google for “sell house privately” and you will see all the sites that come up. Real bargains can be found this way. Also give www.ebay.co.uk a try. You never know! Aborted sales. Sometimes sales fall out of bed and the purchaser cannot buy however the deal is still a good deal. A solicitor can give you a call and you could put in place your willing and able client. Death. Beneficiaries to a will sometimes inherit a property. They do not want to own or co-own property and want a quick sale. This is where you come in with your army of clients! Entrepreneurial Solicitors. Some solicitors make as much money placing deals as they do doing the conveyancing! Try and get to know these sort of solicitors. However do not let them act for you! Any professional investor can make a decision based on the above. Some can decide on even less. I have bought properties knowing just the size, location and the price. We do a lot of this for our clients. We try and include as much info as we can to help them make a decision. You want the client to have all the data they need to make a decision. It is when they make a decision is when you make money. If they never have the info to say “Yes I want that property!” you will not make any money. How you send out will be based on your client base. You will quickly see what works as a well presented deal will sell presuming you have met the clients requirements. Now you should be prepared to put the wheels in motion as quickly as possible. The reason I say quick is usually a good property deal does not hang around for long so you have to act fast. We sometimes lose deals as we simply weren’t quick enough. I am always emphasising this to my staff. Speed is everything in this business. get a commitment from your client. The way we get a commitment from our clients is by taking the sourcing fee upfront. If you are uncomfortable with this you can ask for some of it upfront or getting them to sign or confirm something via email. It is important however that the client feels they are committing to the deal otherwise they are not vested in the deal. Inform your source from where the property came from as soon as you get a commitment. Introduce the client to the source. Introduce the client to the mortgage broker to get an application under way. Introduce the client to the solicitor acting on the purchase. I employ a facilitator to do this. I make sure my facilitator irons out any problems that arise and prevent problems arising. It is quite a stressful job and takes a certain degree of persistence however it needs to be done. There is many a slip between cup and lip. It is too easy for a client to say “yes I will have that” and nothing else happening afterwards. Remember your fee is only really earned once purchase happens. Getting them the exact deals they want. Try and get the client to be as specific as they can. The more you match a deal to their requirements the more pleased they will be. Being at the end of a phone. No one likes answer phone messages, endless ringing tones or even worse a dead phone line! You have to be responsive in this game. Answer the phone and act. Even if all you have to do is reassure them that the property you have found them is right for them. Clients need love! Make regular contact. If you can do a newsletter which keeps them informed of their market they will appreciate this. It lets them know you are on the pulse and aware of what is going on in the industry. They are relying on you to bring their attention to anything significant in the industry. Having good third parties. Your client base will call upon you for recommendations for services like letting agents, mortgage brokers etc. Make sure they are good! Even though you are not liable for their actions they do reflect heavily on you. “Show me who your friends and I’ll tell you who you are” rings so true. Once you have mastered keeping hold of your client base only then should you think of expanding it. A very small client base can provide you with a significant income. Say for example you have chosen to go for wealthy clients who only want portfolios and you are earning 1% of the sale price then you can effectively live off one client doing one deal a year! There really are sourcers in this and other industries who broker very few but very large deals. Property sourcing is a growing industry. Once the property boom takes hold again we will see quite a few springing up. If you want to get in before the rest I suggest you start now.